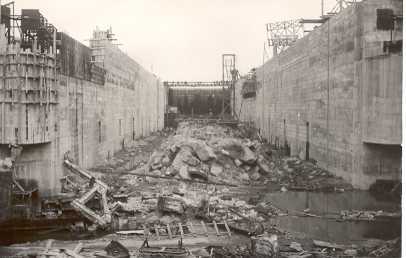 The lock is almost reconstructed. The wharf on the left is not finished. We can see at the left bottom of the photo the fastening cables of the upper pivot of the downstream north door.